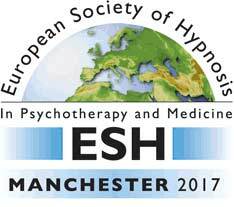 The British Society of Clinical and Academic Hypnosis (BSCAH) and The European Society of Hypnosis (ESH) would like to welcome you to Manchester for our sociable and thought-provoking ESH 2017 Congress. We have a great venue, some very good speakers and an opportunity for all our friends in Europe to come and either present or attend many interesting workshops and discussions, to share approaches and learn from each other. We will have a wide variety of poster presentations and an exhibition space, as well as a breakout room for those who need to relax for a while. One of the important themes of this conference is friendship and inclusivity; your delegate fee includes all refreshments and lunch on each of the days. If you have never been to an international congress before, this is the one to choose! You will be welcomed and supported throughout the event, which we are sure you will find exciting and relevant to your practice. 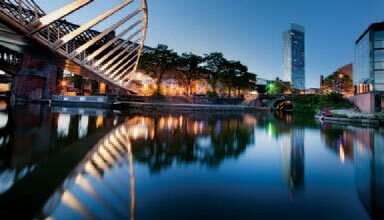 Manchester is a wonderful city – easy to get to and compact enough to explore on foot. We have many beautiful buildings, both old and new; museums, art galleries, theatres and sports venues (Manchester United and Manchester City) as well as canals and parks. We have the Royal Northern College of Music and the home of the Halle orchestra – Bridgewater Hall – as well as a famous jazz club – Matt & Phreds. 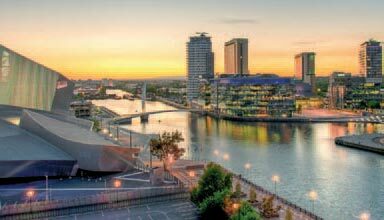 There are many other cultural venues within the city and in neighbouring Salford, home to Media City (BBC and ITV). 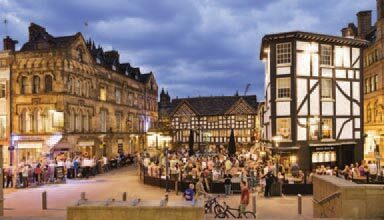 There are easy links to surrounding cities such as York and Liverpool, and London is only 2 hours away. Manchester is also near many stately homes such as Tatton and Lyme Halls and Chatsworth. For the more scientifically minded, The University of Manchester’s Jodrell Bank radio telescope is open to visitors. Why not extend your holiday in the UK and enjoy some of the wonderful countryside around? Visit some of our National Parks such as the Yorkshire Dales, the Lake District or the Peak District. Why not bring your family and visit some of the many attractions in the region such as Chester Zoo? We have several great keynote speakers booked who will talk on a wide variety of topics. Prof Walter Bongartz will talk on the anthropological roots of hypnosis; and helping patients with pain will be the topic for Prof Elizabeth Faymonville, head of the Pain Clinic at Liege University Hospital who has operated on more than 6,000 patients using hypnosis and Stuart Derbyshire, Associate Professor at the National University of Singapore, whose primary research interest is pain. Prof Ulrike Halsband and Dr. Veit Meßmer from Germany will give a dental perspective and the latter will also give us a workshop that will give us an easily understandable overview of many important quantum physical concepts, which will be shown to be relevant to hypnosis. Dr Claude Virot, from France, will talk about the importance of teaching patients the skills of auto hypnosis. As well as these experts we have many other interesting speakers and you can find details under Programme. We look forward to welcoming you here in August 2017!